Join the fun at National Train Day at Tampa Union Station! 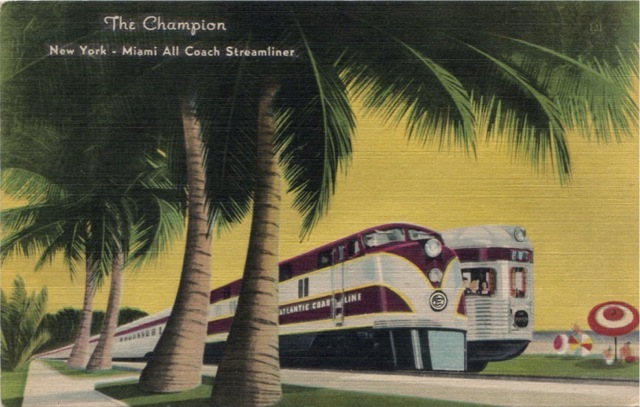 We'll be celebrating the 75th Anniversary of the Atlantic Coast Line's New York-Florida streamliner The Champion this year, with model trains, historical displays, exhibits, music and more! Join us for a day of fun from 10 AM to 4 PM on Saturday, May 9. And be sure to check out the official event listing for updates and a full program for the day! Questions? Email the Florida Coalition of Rail Passengers at fcrp@fcrprail.org or Friends of Tampa Union Station at tampaunionstation@gmail.com.